Susan Hand, 73, has had it with hospitals and cancer. Her husband Charlie, 79, battled colon cancer, tonsil cancer and unrelated heart trouble during the last year of life. He passed away suddenly last August. At about the same time Hand’s sister’s brain cancer returned, resulting in several hospitalizations at Duke this spring. 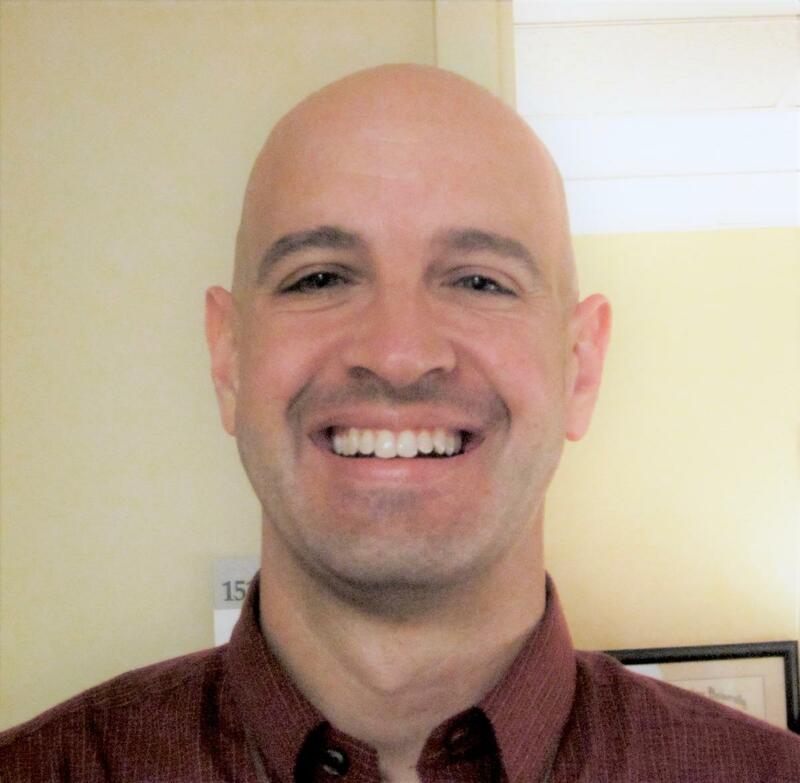 Patrick Plumeri, MS, LMFT, is one of seven medical family therapists affiliated with the Duke Cancer Patient Support Program, which is part of Duke Cancer Institute’s Center For Supportive Care and Survivorship. The program provides individual, couples and family therapy services at no charge — a practice, unique at Duke, that dates back more than 30 years. Hand was referred to Plumeri last spring at one of the lowest points in the couple’s lives. 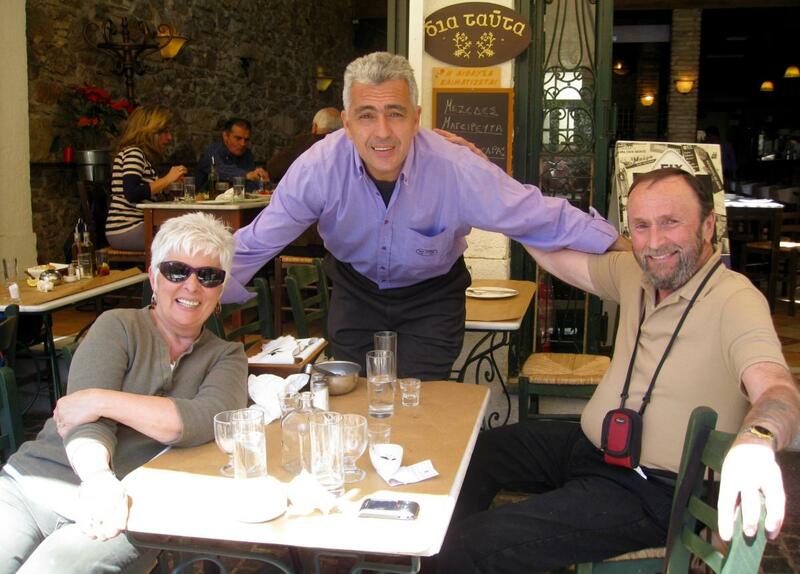 Charlie’s death a few months later, from complications of atrial fibrillation, took Hand by surprise. Plumeri said he was available if she wanted to talk again, but Hand said that she was okay and didn’t need to talk. Months later — visiting her ill sister often, and still learning to live without her husband — Hand changed her mind. Plumeri sees individual patients, caregivers and families at his office at Duke Cancer Center Raleigh. He started his career helping families cope with mental illness and substance abuse, then when he joined Duke 12 years ago, transitioned to helping patients and their loved ones cope with cancer. The kind of counseling that therapists like Plumeri provide is not psychoanalysis, and they don’t diagnose. However, individual, couples and family therapy can continue as long as conditions warrant. Plumeri said he sometimes compares his role to that of a park ranger. Hand says she’s learned to take one day at a time rather than make too many plans. She’s also learned to be kinder to herself and to take a break when visits to her sister’s hospital bedside get to be too upsetting. And she’s “finally coming around to” not having total control over life. A resident of Raleigh for the past 23 years, Hand relies on a support system of friends, her knitting, and her Catholic faith to help her relax and keep her emotions from spinning out of control. She also knows she can lean on her six children and ten grandchildren in good and bad times. She has Plumeri for extra support. 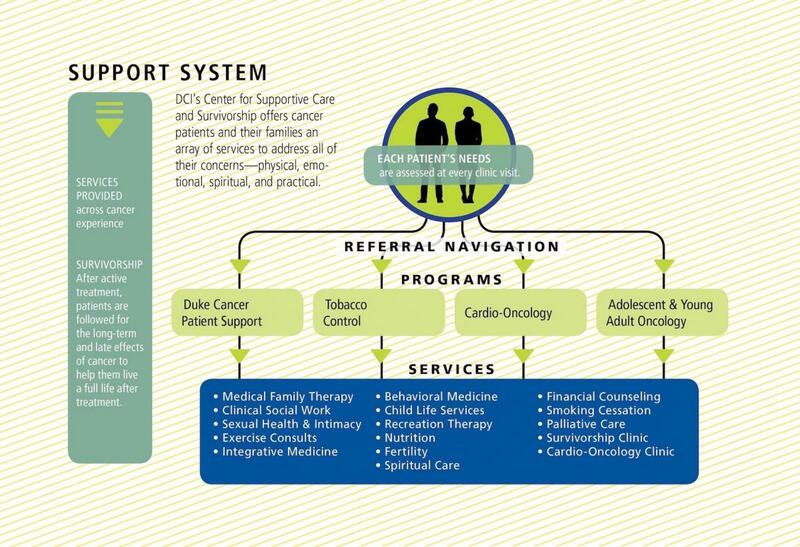 The Duke Cancer Patient Support Program provides services throughout the cancer experience — from suspicion of a cancer diagnosis through the time of diagnosis, treatment, recovery, and survival, as well as through the circumstances surrounding end-of-life. In addition to individual, couple, and family therapy, services include: monthly cancer support groups, self-image resources, pet therapy, child-life services including KidsCan! Program, recreational therapy, and more. All of these support services are provided at no charge to patients, caregivers, survivors and loved ones. Patients, caregivers, survivors and loved ones are invited to learn more at Duke Cancer Institute's annual Supportive Care and Survivorship Day, to be held on Tuesday, June 5, at Duke Cancer Center Raleigh and on Wednesday, June 6, at Duke Cancer Center Durham.